South Australia, the location of the next World Routes event, has reported a record number of visors to the region, with the state’s visitor economy soaring to an all-time-high of AUD$6.9 billion. The biggest boost came from interstate guests, with 2.5 million visitors spending a record $2.2 billion in South Australia. This growth complemented an increase in international expenditure, which now sits at $1.15 billion, a four per cent increase on 12 months ago. China led international growth – with expenditure up 15 per cent to $426 million. The United Kingdom, United States and New Zealand also recorded strong growth. South Australian Tourism Commission chief executive, Rodney Harrex, said it is exciting to start the new year with these impressive figures. “The State Tourism Plan 2020 has helped build a strong and competitive tourism industry, as we work towards an $8 billion visitor economy – it is vital that this momentum continues,” Harrex said. 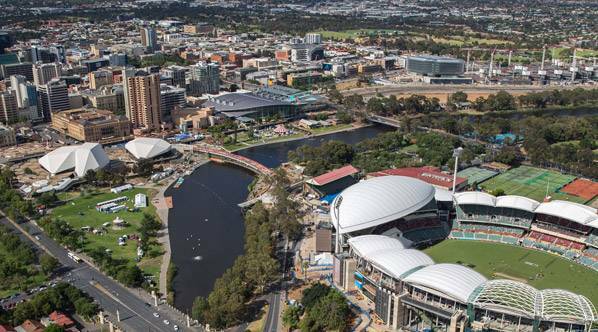 Adelaide, the capital of South Australia, will host the 25th World Route Development Forum September 21st-24th at the Adelaide Showground with 3,000 delegates expected to attend.